What do Visitors See in Your Booth That Makes Them Stop – or Keep Walking? When people walk by your booth, they make a subconscious (or unconscious) choice on whether or not to stop and visit. In an instant, that choice is made. Much of what they base that choice in never really registers as a solid thought, but the choice is made regardless. They stop to visit and check out your booth. Or they keep on going. What makes them stop? What makes them keep walking? Let’s take a look. Brand: if they know the brand, they already have an impression. They have an emotion tied to the brand. It may be positive or negative. Or it may be neutral. In any case, the brand itself is part of that judgment. Size of booth/how many people are already there: if a couple of dozen people are crowded into an island booth and they are all engaged in comes activity, or they are all paying attention to a single activity such as a professional presenter, they may decide to join. Nothing draws a larger crowd like a small crowd. Newness or uniqueness of exhibit: if they come around a corner and see something they’re not used to seeing, that may impact their decision on whether to stop. The exhibit itself can be a big part of that subconscious process. Newness counts to a degree. New graphics, clean look, something different than they’ve seen before. What’s happening in the booth: something interactive, something hands-on can spur people to impulsively stop to find out more. VR headsets. Spinning wheel. Quiz. Anything that lets people get involved, even if only briefly. Familiarity: of course, familiarity can count, too, especially if that familiarity is of a positive nature. If they’re familiar and fond of a brand, that can draw them in. 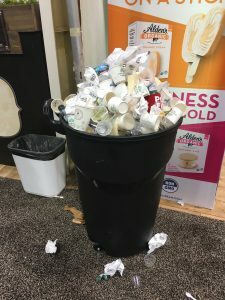 Cleanliness (or lack): clean floors, fresh and wrinkle-free graphics, garbage cans that aren’t overflowing all create a positive impression. Clutter, grimy, broken, old or frayed exhibit pieces can put people in the mind of being repelled. They may not even know why, but they’ll subconsciously steer clear of something that their mind recognizes as distasteful. Something that’s not clean can repel. 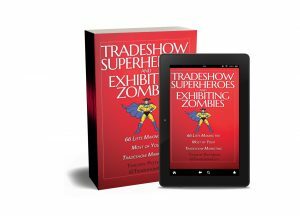 People: your booth staff is critical in getting tradeshow floorwalkers to stop or not. A well-trained staff knows how to ask a good opening question, and how to engage. 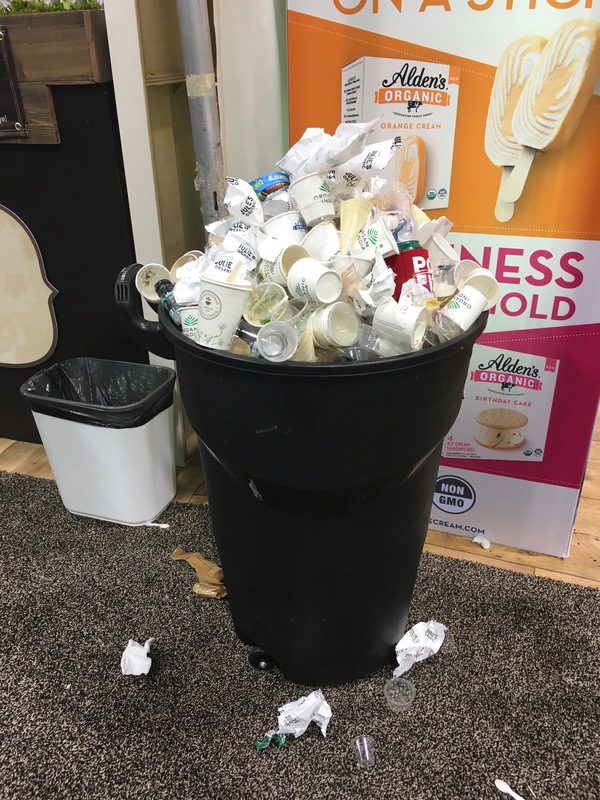 A great staffer will override other flaws in your booth, such as an older exhibit, minor lack of cleanliness, unfamiliarity with your brand and so on. With thousands of people walking the floor at a tradeshow, everything you do and everything that they can see in your booth space can influence their decision on whether or not they will stop. A small change can add up to a significant difference in your response rate. If you could increase your visitor rate by 20% just by having a clean booth, would that make a difference? If you could triple your leads by doubling the size of your booth space and installing a new exhibit, would that be worth it? I’ve seen it happen. Every little thing counts. So does every big thing. What is drawing visitors to your booth? And what is repelling them without you knowing? Take a closer look next time. This blog post came thanks to an idea from Mel White at Classic Exhibits. Thanks!